BrickHouse Security has been a trusted GPS expert for over 13 years, providing GPS fleet tracking solutions to thousands of industry professionals and law enforcement teams. Monitor GPS data from anywhere you are in real-time with speed, location and after-hours alerts delivered instantly via text or email. 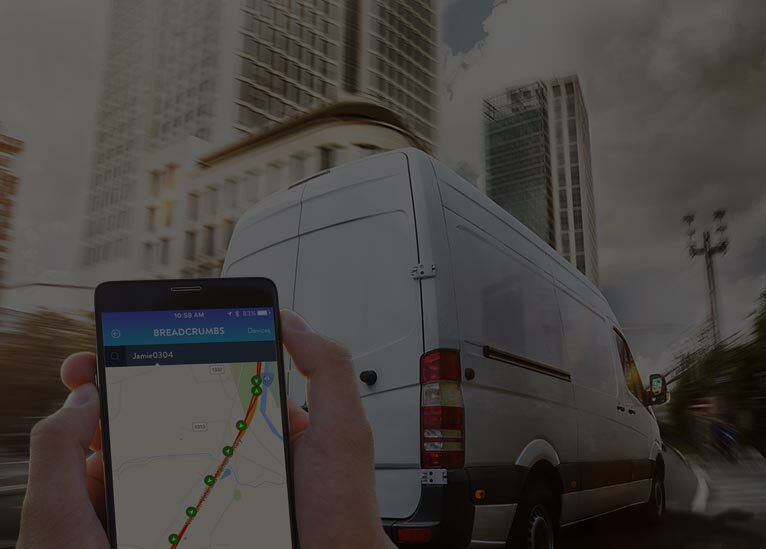 These powerful BrickHouse Security GPS fleet tracking solutions are fully mobile-ready, so you can get the answers you need in seconds from any Web-enabled device. We’re constantly improving our GPS fleet tracking solutions. With Cloud-based delivery, you’ll get crucial upgrades and enhancements without lifting a finger. Know in real-time how people are driving throughout the day. Get instant notifications via text or email when a vehicle exceeds any speed you select, monitor legacy driving data and generate reports for any time period and see them in a simple, intuitive dashboard view. “Great company, easy to deal with, easy checkout! Put the power of GPS geofencing to work for your business. Draw a circle or a polygon around any area you choose, or select advanced route geofencing with fully adjustable buffer zones and get instant alerts if your drivers deviate from their scheduled routes. Devices are shipped pre-activated at a 1-minute interval. However, you can upgrade your service based on your fleet tracking needs. If you would like a more or less frequent tracking option, please call our Fleet Tracking Experts today. (855) 662-4999. Optimized routing with geofencing and advanced trip reporting can ensure that your field employees drive fewer miles every day. Plus, excessive idling reports tell you immediately when fuel is being burned unnecessarily. It’s no secret that some of your drivers are more productive than others. Hold everyone in your fleet to the same productivity standards and increase every field employee’s value with easy-to-understand driver performance reports. How fast can your guy be here? Where’s my delivery? What took him so long? Did he hit traffic along the way? When you or your clients need to know, BrickHouse Security delivers the answers. Win clients for life with ultra-fast response times. Real-time fleet tracking and instant vehicle location let you find out immediately who’s closest to the job site so you can dispatch the nearest available driver in seconds. Healthy vehicles stay on the road longer. When you track your fleet maintenance information, including miles driven, in one centralized system, you know for sure that all your vehicles are being properly maintained and performing at maximum efficiency. Every organization with a fleet in the field has to find a way to minimize vehicle and asset theft. BrickHouse Security anti-theft solutions help you locate your stolen vehicle before the bad guys get away with your property or your client’s merchandise. Insurance companies need to protect their investments - and they place a lot of emphasis on asset protection. Lower your insurance bills by as much as 15% when you install a GPS-based theft recovery device. Combine any of BrickHouse Security’s plug-and-play OBD trackers, personal trackers or hardwired vehicle trackers and view them all on a single dashboard in real time from any Web-enabled computer, tablet or smartphone. Monitor any size fleet in real-time and locate it instantly from anywhere in the world using the Enterprise Tracking Platform. Add users, set business rules and control administration access and permissions from anywhere with an Internet connection. In addition to an industry-leading slate of standard reports for fleet tracking, we’ll custom-create the reports you need to maximize your fleet’s productivity. Drill down and monitor frequency of visit, closest item search, driver productivity, scheduled maintenance and more. The BrickHouse GPS Platform is currently being successfully deployed by numerous local and state police forces and federal agencies. Call (855) 247-2491 to speak to one of our Law Enforcement Specialists about your department’s needs. Have a question about a product you purchased? We offer world-class customer service and unmatched technical expertise on every product we sell. When you need answers or support, a BrickHouse Security expert is always just a phone call away to help.